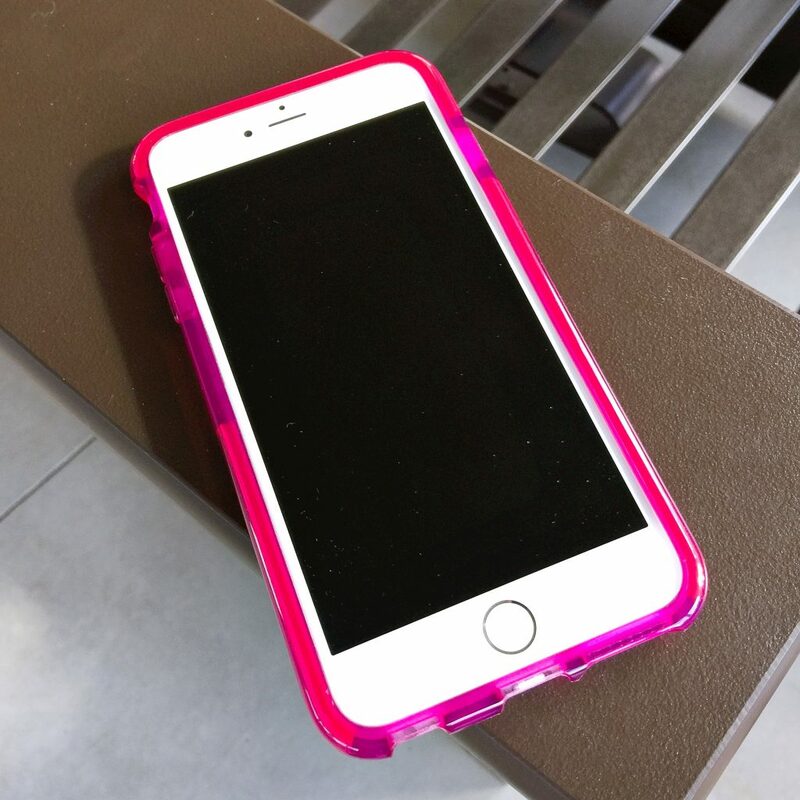 The night my wife purchased her iPhone 6 Plus a few years ago, she also wanted a case to protect her investment. 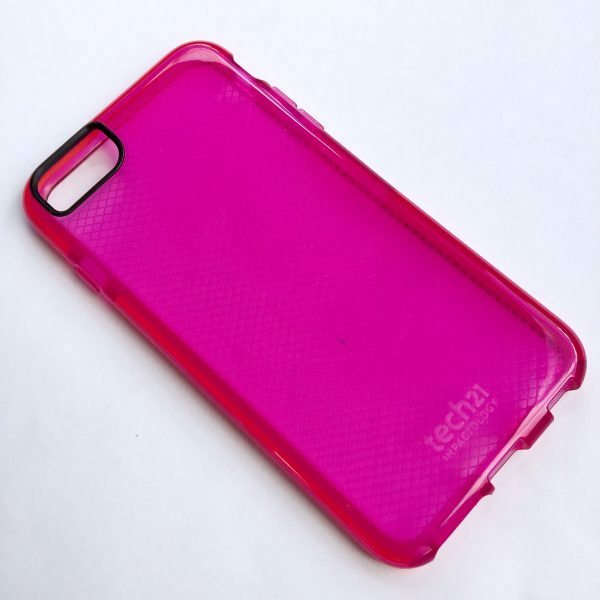 Among the many iPhone cases in the Apple Store that night, the tech21 Impactology case was her choice. 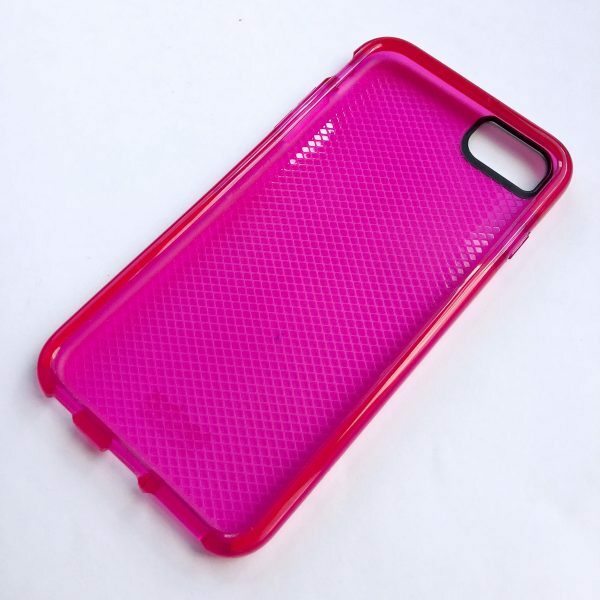 Although it was the color that initially caught her eye, she also liked that it seemed to provide a bit more protection against scratches and bumps than many other cases. How did she end up liking this case? Let’s check it out! Gadget on! The product packaging was fairly standard, with an artistic rendition of the product depicted on the front. 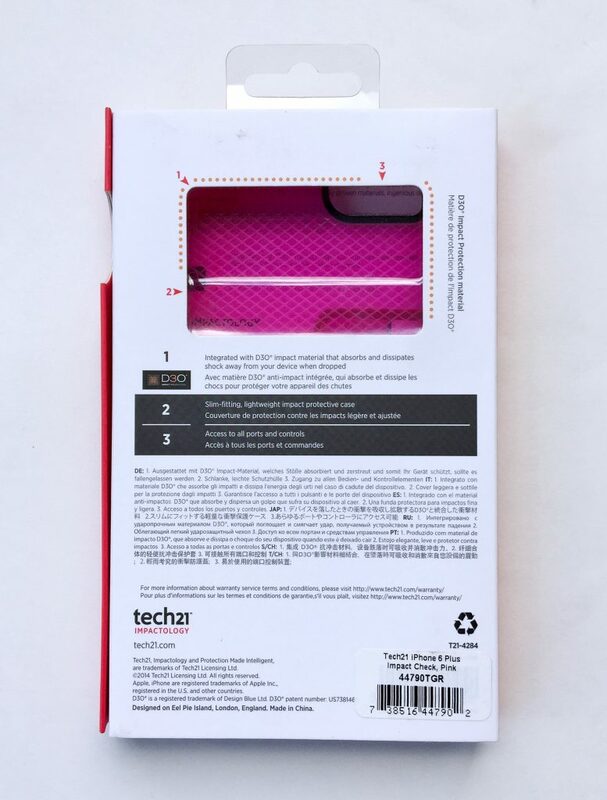 The back of the package includes a small “window” that allows the prospective buyer to not only see but also touch the inside of the case, to feel the material and texture. Nice feature. The package had a clamshell-style opening, allowing the buyer to see the product inside the package. The first thing I noticed about the tech21 Impactology case, besides its bright color, was that it has a “gel”-like, almost sticky feel, to enhance its grippability. Yep, that’s a word. Maybe. 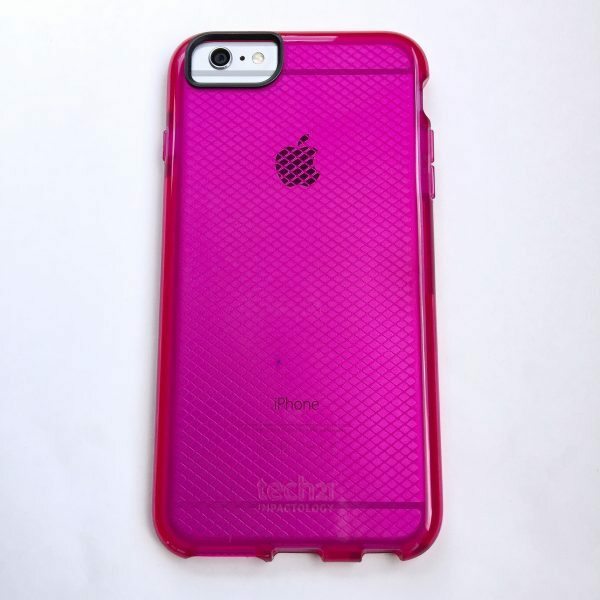 From the photo above, you can see a grid-like check pattern that textures the case’s interior. Since this is the “Classic Check” version of this case, I supposed this makes sense. 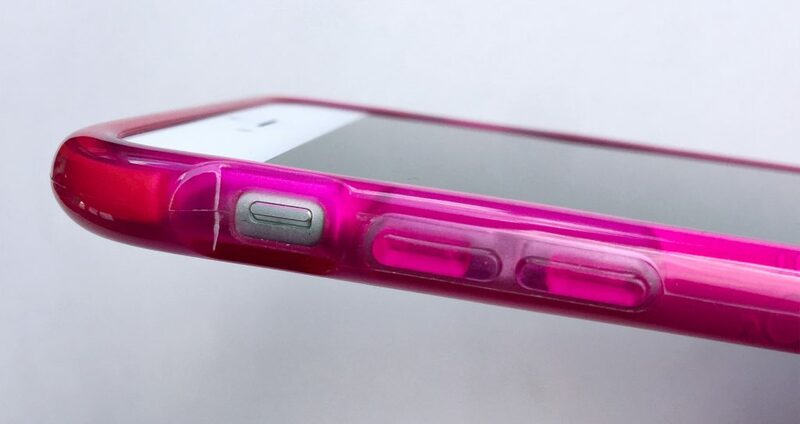 At first, I thought it odd that this pattern would be on the case’s interior, but upon further reflection, I think this may be part of the impact damping feature of the case. 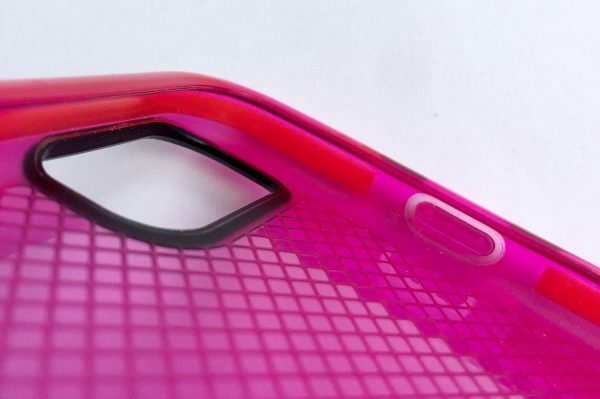 In the image above, you can see a few of the cases features, including the cutout around for the rear camera and flash as well as the lock button protector. The camera/flash cutout has a black reinforcement ring around its perimeter. 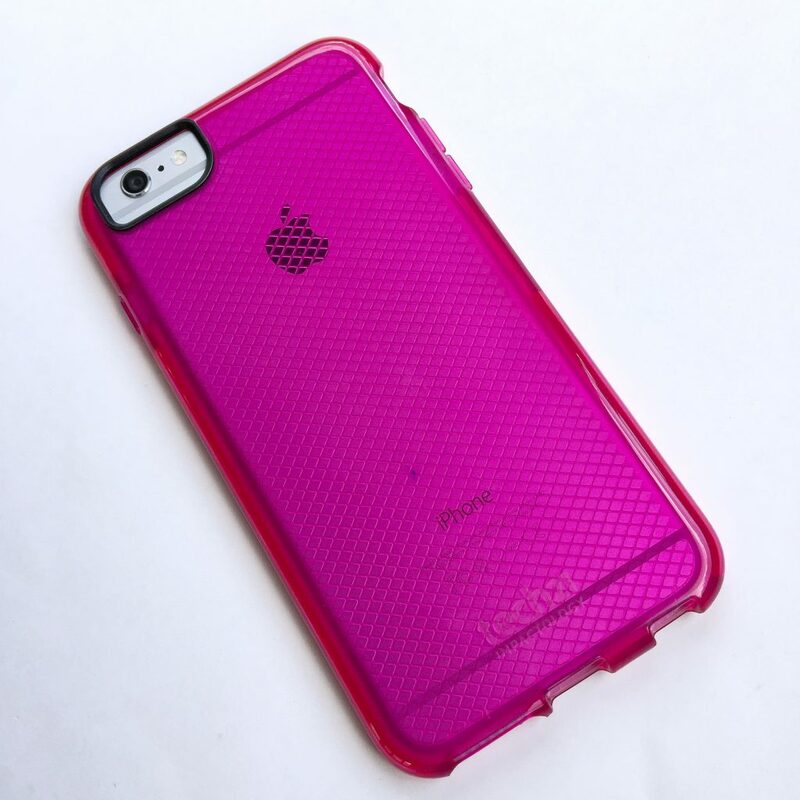 The “check” grid texture pattern on the interior of the case is clearly visible above as well. Additionally, the red strip visible in the photo that runs the perimeter of the case is one of the Impactology’s protective features. 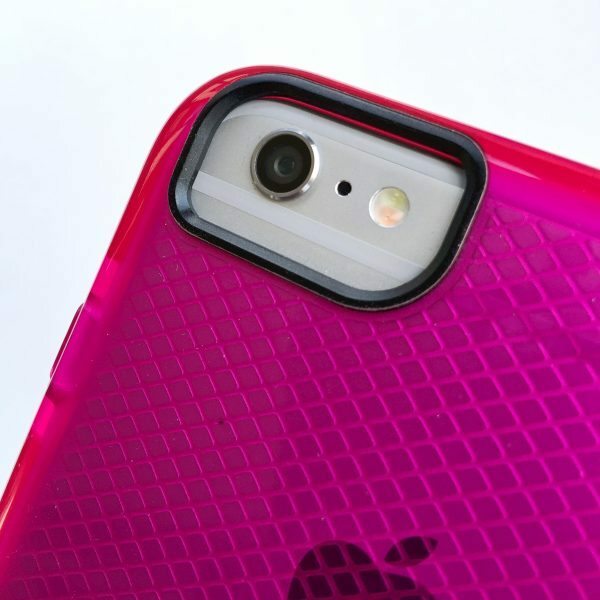 It’s a strip of material that helps absorb side impacts in addition to the case’s main material. It took a bit of effort to install the iPhone inside the case, and I had to work a bit to “pop” it in, but it was not overly difficult. Once inside, it had a very solid, tight, feel all around, without any gaps or slop. 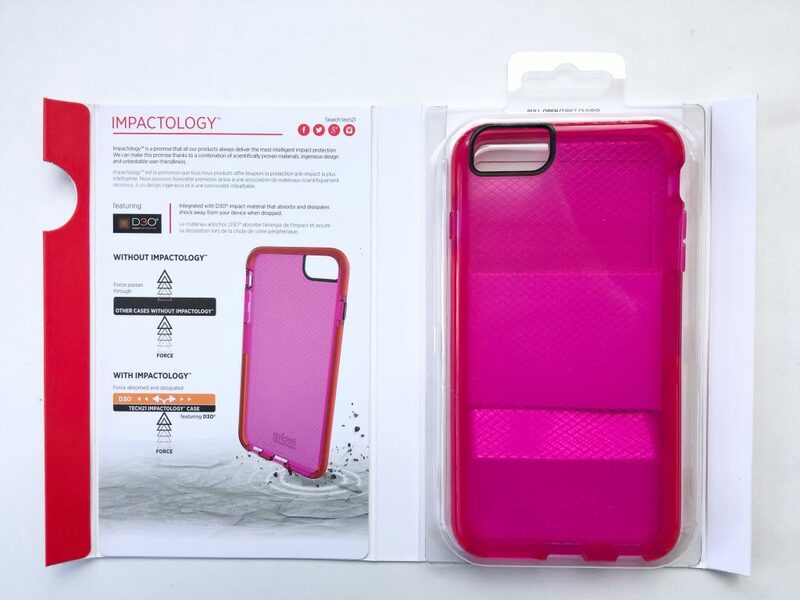 The Impactology case is made from tech21’s D3O Impact Protection material which provides three layers of protection to spread, dissipate, and dampen shock from impact. In the photo above, the Classic Check pattern present on the case’s interior is again visible. Above is a photo of the camera/flash cutout. I think tech21 made this cutout bigger than it needed to be. I’d like it to be a little smaller to protect the iPhone in this area just a bit more. Above is a photo of the cutouts along the bottom of the case. 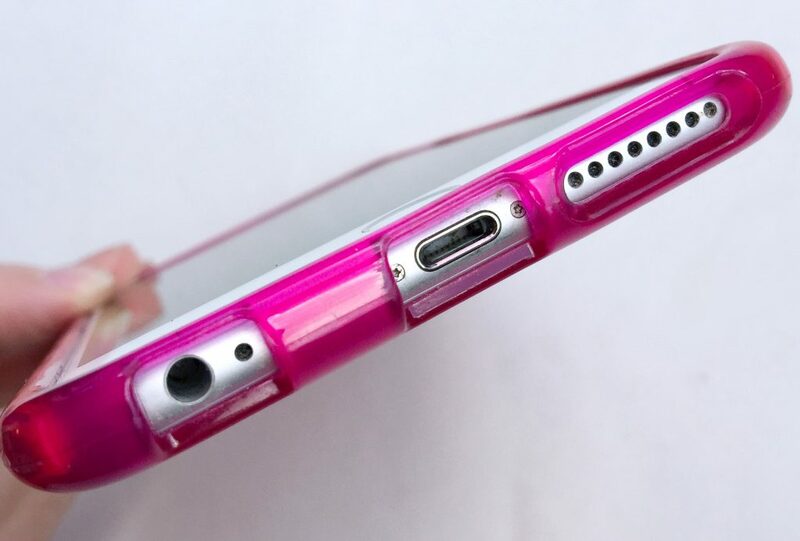 From left to right are the headphone jack cutout, the Apple Lightning connector cutout and the speaker grille cutout. In addition, in the photo above and in the follow two photos, you can see the thickness of the case. 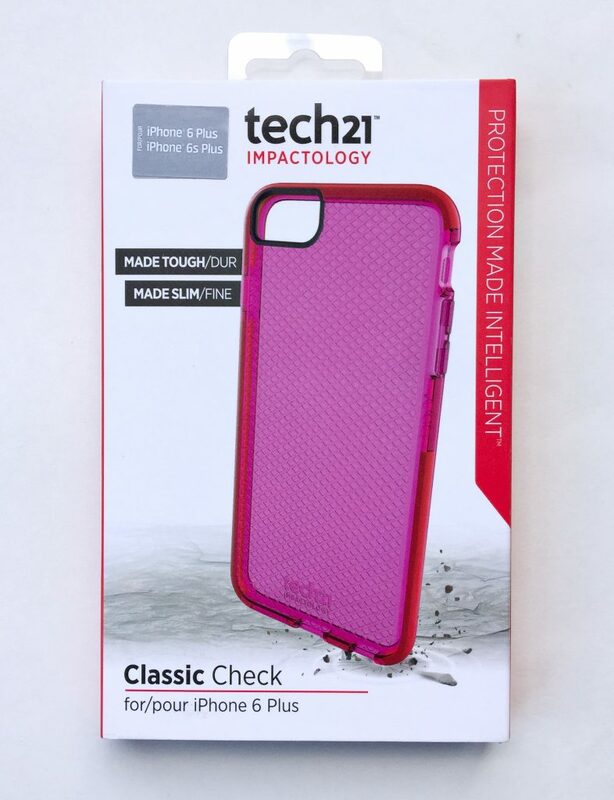 The tech21 Impactology case doesn’t really add much thickness considering its added protection. The above photo shows the features along the left side of the case. From left to right are the mute switch cutout and the volume up/down button protectors. Again, note the thickness of the case. Note as well that the front of the case that forms a lip and wraps slightly over the edge of the iPhone, provides a substantial yet thin cushion for protecting the iPhone’s screen from being scratched by laying the iPhone face down and coming in contact with a surface. 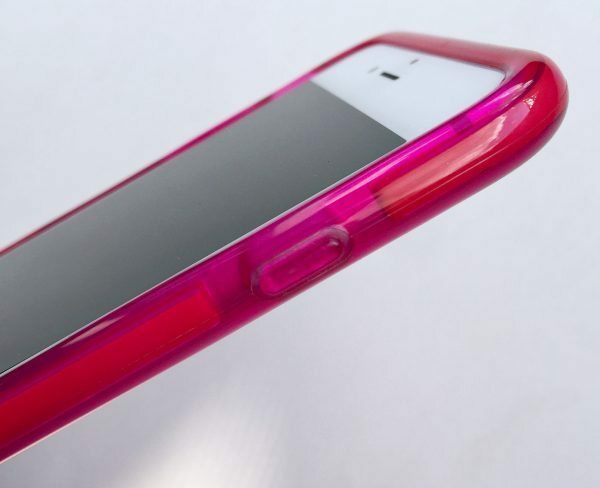 The above photo shows the right side of the case and the protective cover for the lock button. All of the Impactology’s button protectors, including the lock button above as well as the volume up/down buttons depicted further above, allow button functionality while maintaining a slightly “clicky,” tactile feel. 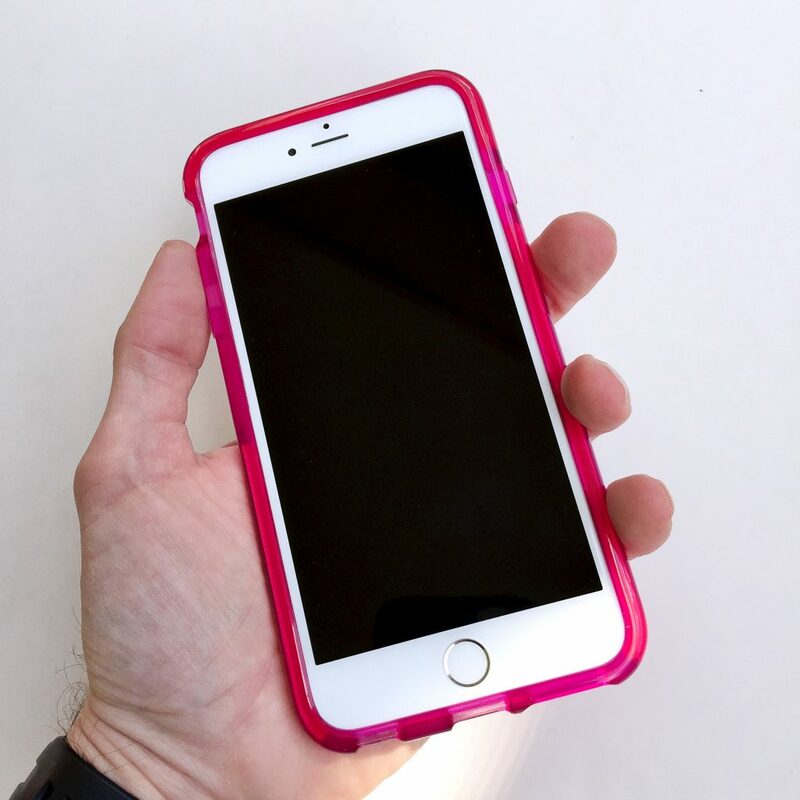 The case adds a few millimeters to the footprint of the iPhone. In the photo above, you can get an idea of how just much material has been added to the iPhone’s perimeter at the location of the notched cutout for the mute switch, up near my thumb. I didn’t really feel that the added material was a problem, especially considering that this was done to increase the impact protection around the perimeter of the phone. 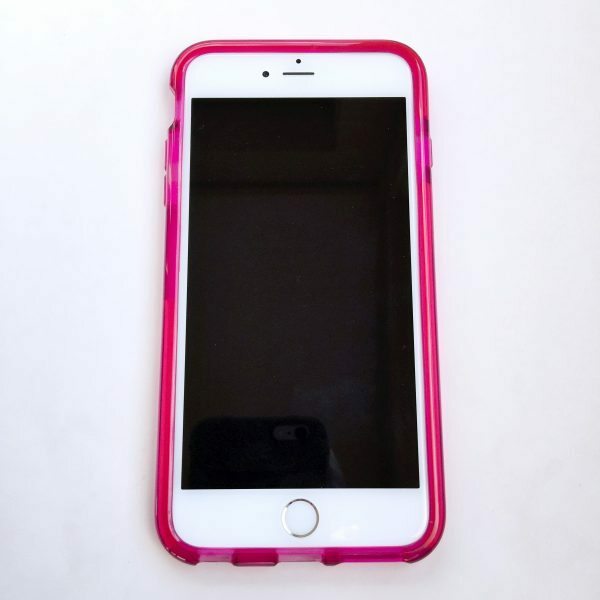 Additionally, as mentioned above, the case’s material has a gel-like, slightly “tacky” feel, to enhance your ability to grip the phone while using it, and to prevent it from slipping out of your hand or off of a surface you might set it on. I will offer this final piece of feedback: My wife really likes this case. I’ve had her try a few other cases in the time that she’s had her iPhone 6 Plus, and she has always come back to the tech21 Impactology case. To me, that says a lot. Source: The product in this review was purchased with the reviewer’s own funds. Please visit tech21 at tech21.com for more info and Amazon to order. Why….2 year old item no longer available. – Amazon still offers this exact case (as well as this case in other colors). See the Amazon link above under “Retailer” above. 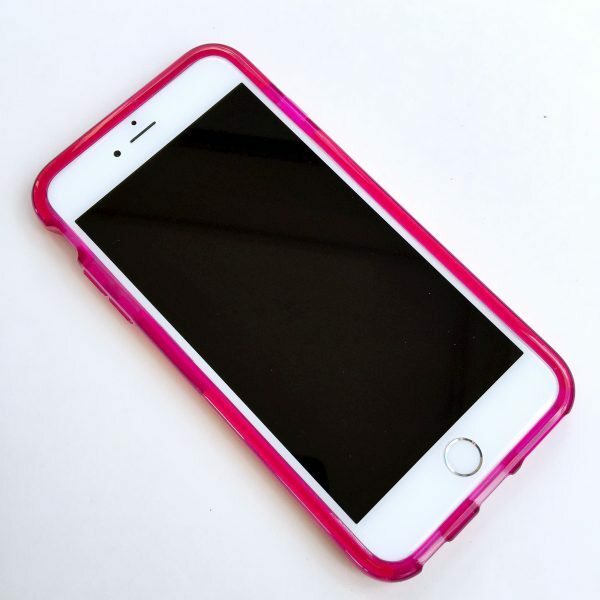 – tech21’s current product that is the next-generation of this case is called their “Evo Check Case.” See the tech21 site at the link above under “Manufacturer” above. I had one for my IPhone 4 and then immediately bought one for my IPhone 6 when I moved up. Great case. I’ve dropped my phones many times, by accident, and usually on hard surfaces, and always my phone was fine. I bought my first one direct from England, but got the one from my Iphone6 from from. T Moble store here in Hawaii. Norm, thanks for stopping by The Gadgeteer and thank you for your feedback. As I mentioned in the review above, this case did protect both my wife’s iPhone 6 Plus as well as my daughter’s iPhone 6 through several fairly high drops onto hard surfaces. It’s the real deal when it comes to impact protection!